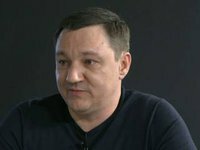 Intense armed clashes are now in progress outside Donetsk, Luhansk and a number of other towns and villages in southeastern Ukraine, coordinator of the Kyiv-based Information Resistance group Dmytro Tymchuk said on his Facebook account on Friday morning. "Armed clashes continue near Donetsk, Luhansk, Horlivka, Pervomaisk, Shakhtarsk (Molodetske), Torez, Popasna, Krasny Luch and Ilovayisk," he said. "Fierce fighting" is under way for control over strategic motorways such as N21 near Shakhtarsk and M-04 near the villages of Novosvitlivka and Khreschuvate that link Donetsk and Luhansk with other insurgents-held areas, Tymchuk said. The unlawful armed units resisting the Ukrainian army "are starting to relocate their personnel and hardware closer to the border with Russia," Tymchuk said. "Obviously, the district of Sverdlovsk-Rovenky-Molodohvardiysk-Izvaryne, which has access to the border with the Russian Federation, will be the "last stronghold" of the militants," Tymchuk said. The Ukrainian army's positions near the villages of Berezove, Ilyinka and Plotyna came under fire early on Friday morning, he added.